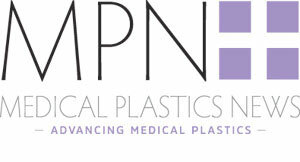 Lu Rahman is the group editor of Medical Plastics News magazine. She oversees the content for the Rapid Life Sciences portfolio, which includes European Pharmaceutical Manufacturer, Med-Tech Innovation magazine and Digital Health Age. 2017: What’s in store for the US medtech sector? Why did the BBC miss medtech out of its reporting? Is Manchester medtech’s new Massachusetts? What's hot in medical device manufacture? Mystic medtech: How true were 2015’s industry predictions? When will the medical device sector get its celebrity endorsement? Is the new Apple Watch really a medical device? Has Snapchat provided a boost to the plastic surgery industry? Why is Chinese healthcare booming?